Are you looking for a camera lens hood for your camcorders? Now, we enthusiastically recommend this flower lens hood to you.This camera lens hood maximizes the amount of hood coverage for the minimum amount of weight and hood area because of its “petal” shape. This dedicated camera lens hood is specifically designed to match the exact focal length of the lens which was designed for. The main function of the flower lens hood is to shade the lens from stray light, improving your contrast and image quality. But also, the 67mm lens hood will also protects the front barrel from the inevitable impacts against walls, door frames, and other real-life obstacles and in inclement weather, it can assist in keeping moisture or wind-blown debris off the lens. 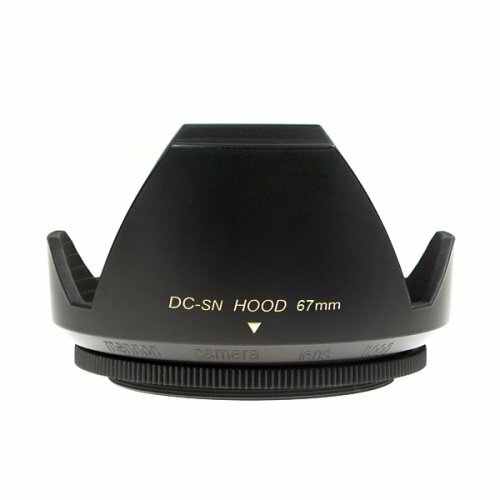 Both practical and reliable, this 67mm flower lens hood is great for you!